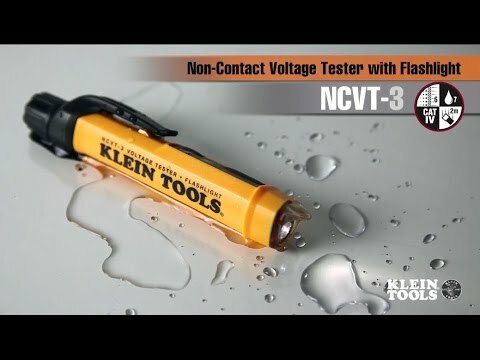 Klein Tools Non-contact voltage tester flashlight is suitable for indoor/outdoor applications. 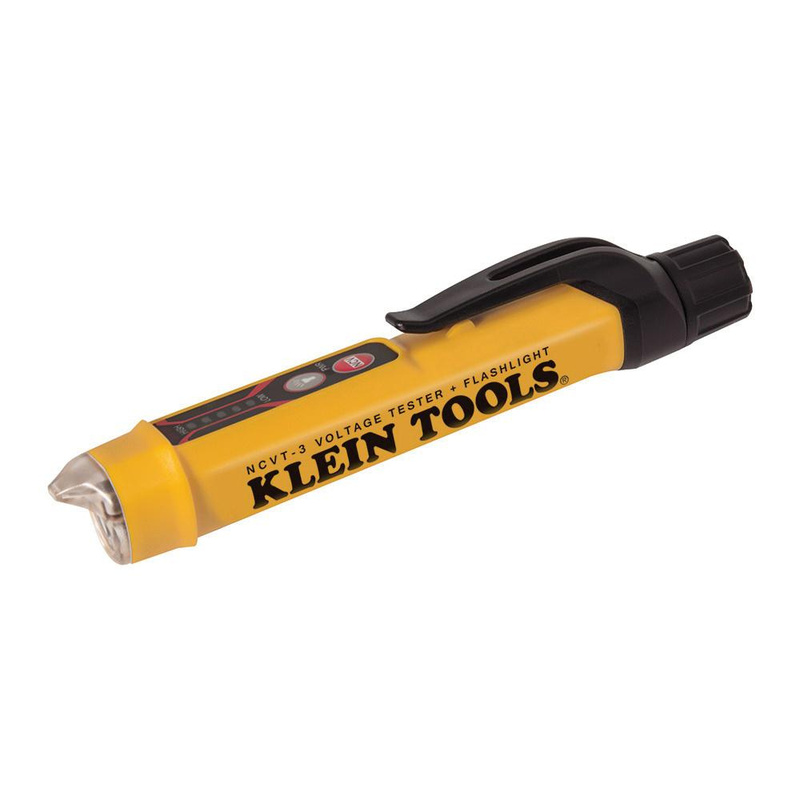 This voltage sensor detects 12 - 1000-Volt AC and indicates the presence of voltage with both visual and audible signals. It measures 5-53/64-Inch x 23/32-Inch x 1-5/32-Inch. This tester withstands temperature rating of 14 to 122 deg F.